How can we best practice the clinical nuclear medicine? This eBook is designed to explain some methods regarding nuclear cardiology, which would be instructive for physicians and scientists. This book would tell what is nuclear cardiology, or how non-invasive imaging is used, from clinical evidences. The Nuclear cardiology has demonstrated continuous dramatic growth over 40 years. 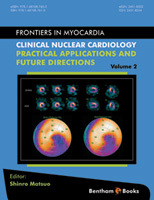 This book is composed of recent progress of the nuclear cardiology by leading physicians and scientists in this field. I am sure that this eBook would be useful for daily practice of all the physicians and scientists interested in this field. Nuclear cardiology has demonstrated continuous growth for over 35 years, and now become important tool for evaluation of patients with heart disease. A nuclear cardiology test is one of the most commonly performed non-invasive cardiac imaging tests in hospitals for the patients with heart disease as well as echocardiography. This book is composed of four parts by leading physicians and scientists in the field. The first part describes the perfusion scintigraphy. Myocardial perfusion imaging is an established method for the primary detection of coronary artery disease. Gated myocardial perfusion single-photon computed tomography (SPECT) is essential for the diagnosis of cardiac function. The addition of ECG-gating has allowed nuclear cardiology to expand from myocardial perfusion alone to the assessment of systolic and diastolic function. The second part provides metabolic aspects of heart disease, including fatty acid metabolism. The heart is an active organ that requires high oxygen to maintain mechanical function. The major aim of oxygen uptake in the heart is to provide sufficient energy in the mitochondria in the myocardium. Glucose and free fatty acids are major energy sources in the myocardium. Recent advances in nuclear cardiology include fatty acid metabolic tracer of iodine-123-labeled BMIPP. I-123 BMIPP provides useful information in patients with heart disease. The third part covers cardiac sympathetic function, including sympathetic nerve imaging. 123I-MIBG scintigraphy is now used as an important technique for studying cardiac neuronal function. 123I-MIBG shares the same uptake and storage mechanisms as norepinephrine. It is reported that the uptake-1 system is mediated by the norepinephrine transporter, and the uptake-2 system is an extra-neuronal system. 123I-MIBG imaging has an important prognostic value in patients with heart failure. The fourth and the final part describes small animal molecular imaging, preventive medicine and Takotsubo syndrome. Nuclear cardiology tests, including neurotransmitter imaging and metabolic imaging, are now easily preformed with new tracers to refine the diagnosis of heart disease. Nuclear cardiology studies contribute significantly to guiding management decisions for identifying cardiac risk in patients with heart disease. FUJIFILM RI Pharma Co., Ltd.